A lunch box and flask in a picnic basket… (･ω･ﾉ)ﾉ! 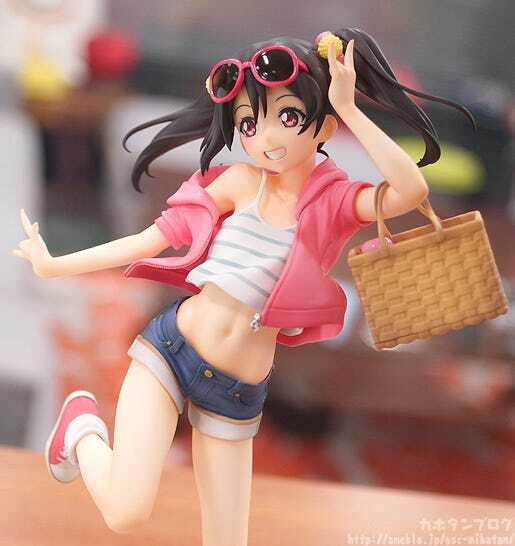 From the popular anime series ‘LoveLive!’ comes a 1/8th scale figure of Nico Yazawa. 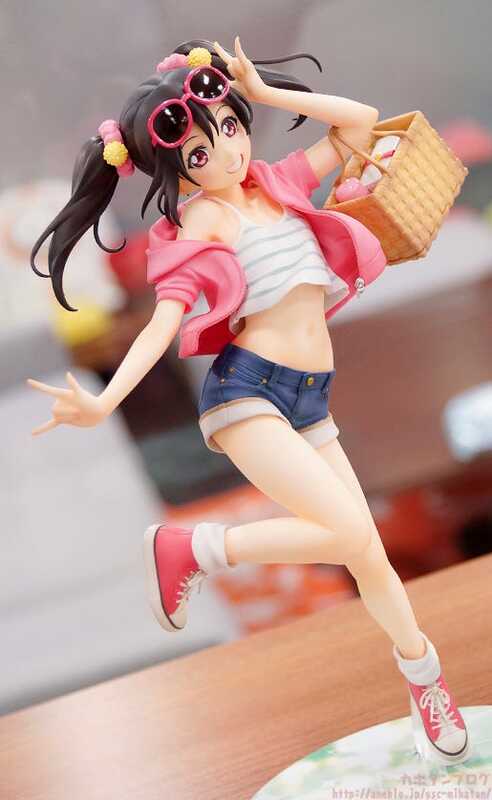 The figure is a part of the LoveLive! 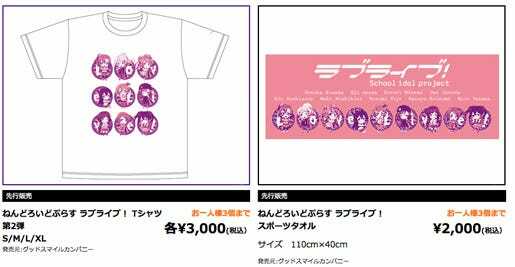 Cafe Campaign in AKIHABARA, where fans all over Japan voted on which LoveLive! 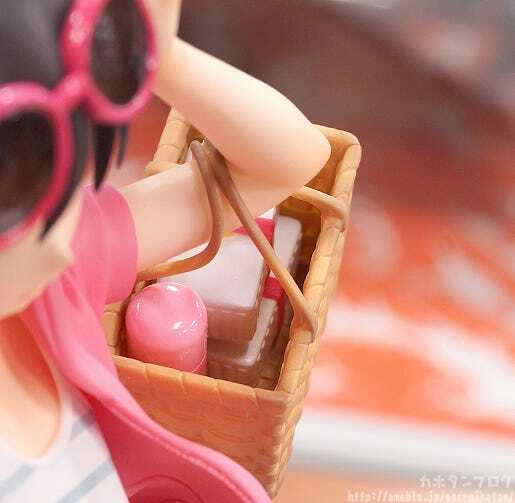 character is best suited for a picnic in the early Summer – the character that you would most like to go on a picnic with! The winner of the contest was Nico Yazawa, who then had this special illustration drawn of her to commemorate the victory! 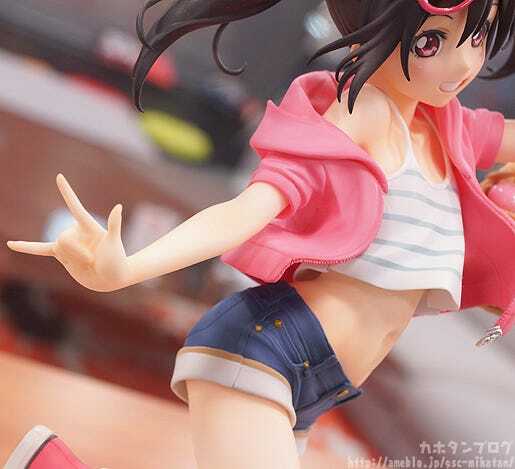 Now that illustration has been transformed into a figure which shows off Nico’s healthy and energetic body, as well as her dynamic pose that instantly catches the eye! 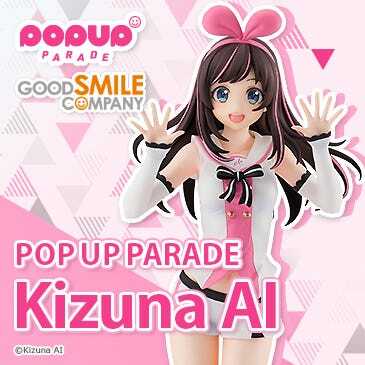 The cute smile on her face is sure to make anyone who looks her way feel uplifted and ready for another day! 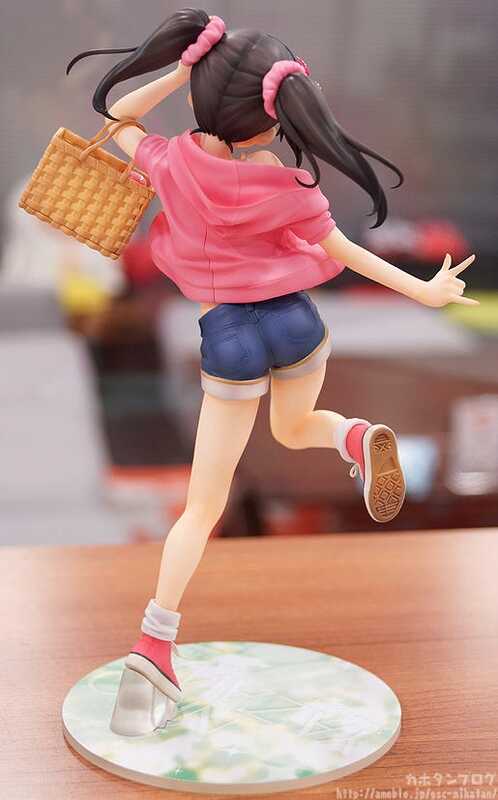 The adorable ‘Niconii’ also known as Nico Yazawa has been made into a 1/8th scale figure filled with energy and with a cute, playful smile across her face! 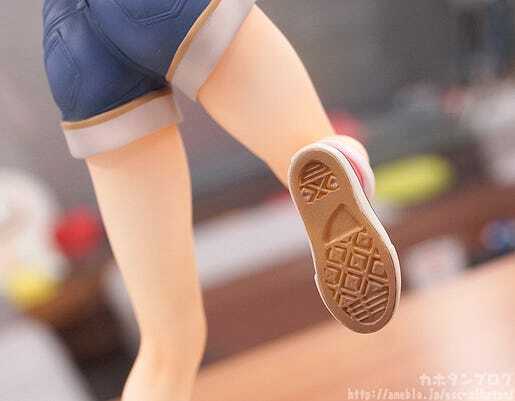 The figure is a part of the LoveLive! Cafe Campaign in AKIHABARA, where fans all over Japan voted on which LoveLive! character is best suited as picnic girl and Nico took the top spot which lead to this illustration of her being drawn! 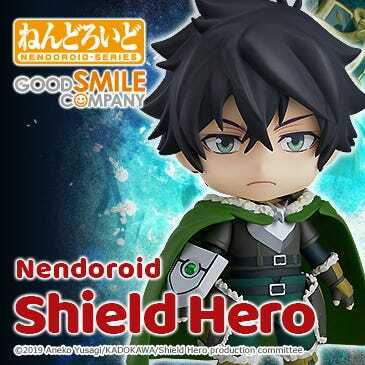 Now the lovely illustration has also been transformed into a figure for fans to enjoy!! 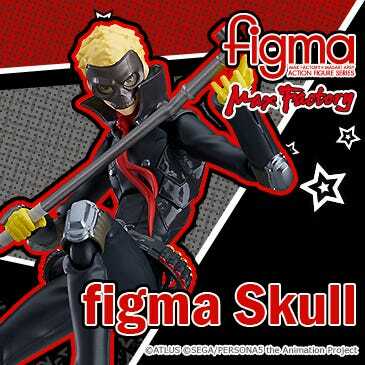 The figure allows you to see the reverse side too! 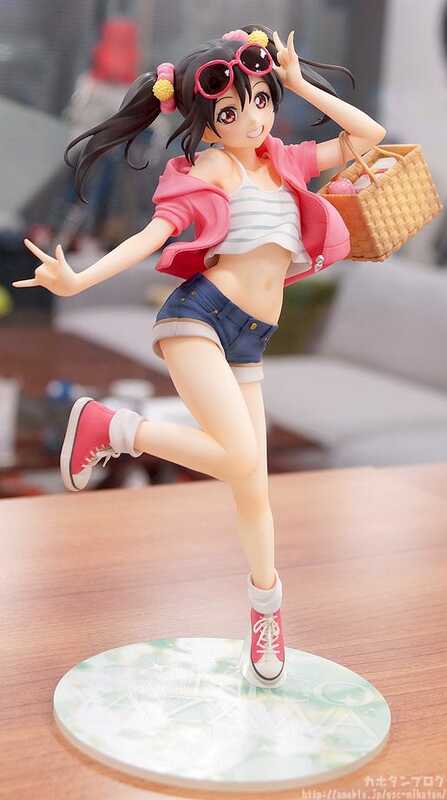 The clothes look so soft and realistic…! 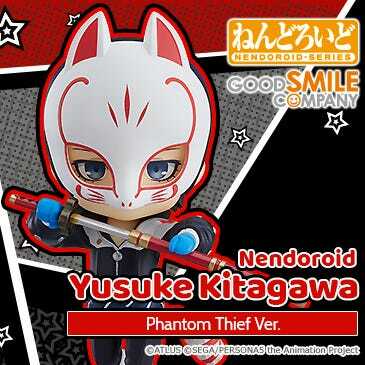 Also note the detail on the zip! Even the teeth are amazingly intricate! But the details are about more than just her outfit…! The camisole outfit gives a nice look at her healthy looking stomach and all the curves around it! No one can doubt this is the body of an idol! Scale figures really capture a character down to the finest of details, and looking at those details can really be enjoyable! The slightly mischievous look in her smile brings it all together! It’s perfect! The somewhat sideways glance of her eyes is also beautiful! △ Two lunch boxes and a canteen! Ready to have a picnic with you! The items can also be removed from the basket! △ The details on the weaving of the basket itself is also lovely! △ The lifted up foot has the shoe’s sole faithfully sculpted! △The loose socks around her ankles bring out the innocent side of Nico! 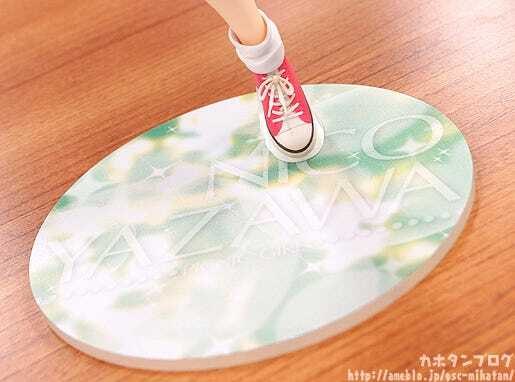 The included circular stand features Nico’s name as well as a refreshing, Summertime look! The colors makes me think of being under some trees! 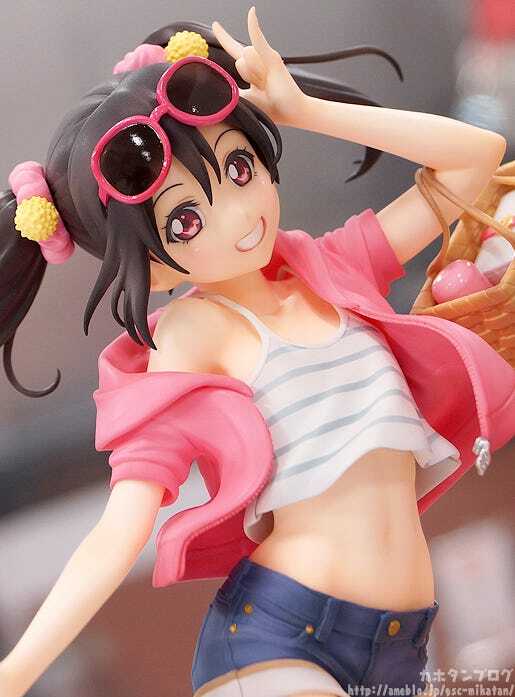 Keep a cute Nico Nico smile by your side! Check out the GSC site then for more details!! If you’re a LoveLive! 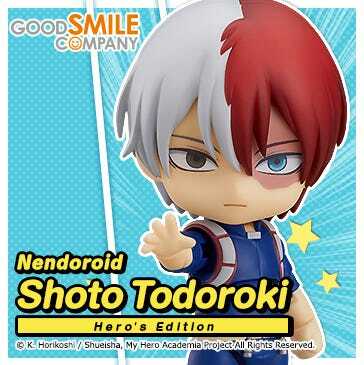 fan be sure to also check out these items! 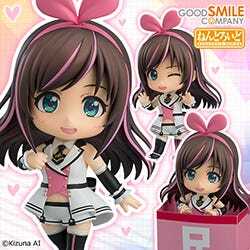 Nendoroid Petite: LoveLive! Angelic Angel Ver. 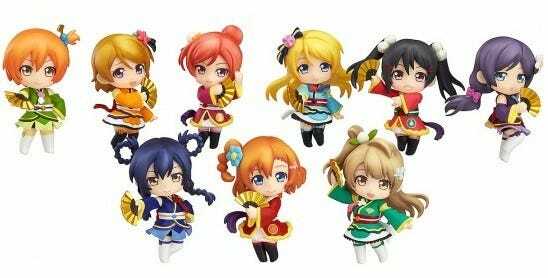 Blog Review: Nendoroid Petite: LoveLive! Angelic Angel Ver. 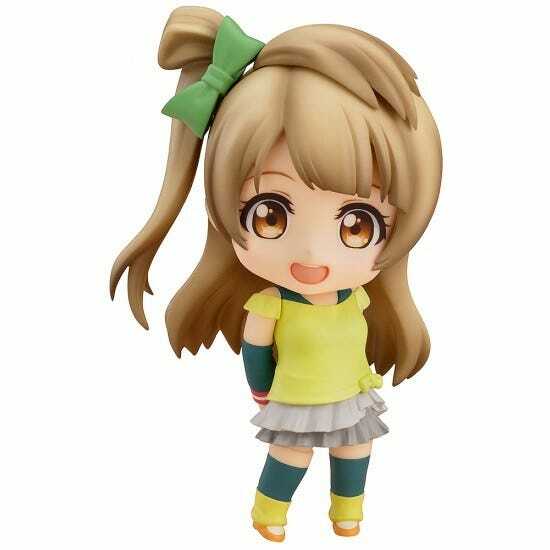 Nendoroid Kotori Minami: Training Outfit Ver. 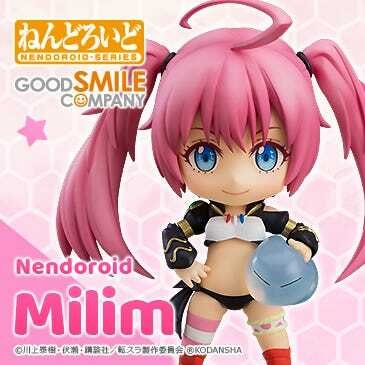 Blog Review: Nendoroid Kotori Minami: Training Outfit Ver. There is only one week left until Comiket now! !